This year’s edition of the International Forum of Food and Packaging took place in Kiev, Ukraine and was represented by 4 independent exhibitions: Pack Fair, Food Expo FoodTechMash and Bakery & Confectionery Industry. With a total fair area of 7000 square feet, the forum welcomed more than 200 participants from 9 countries. More than 7000 visitors attended the 3 days event, including engineers from major food companies looking for solutions to meet their processing needs. The IFFP provided a platform to learn more about industry related innovations by providing the opportunity to participate in live demonstrations, seminars and keynote speeches. 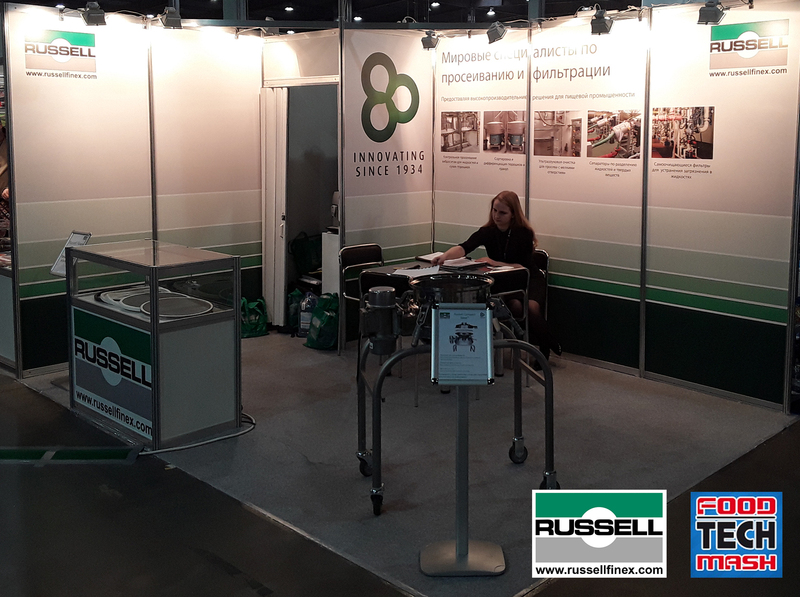 Participating for the first time, Russell Finex presented visitors with solutions in fine mesh separation technology, having 80 years experience in supplying vibratory sieves, separators, ultrasonic mesh deblinding systems and liquid filters for use throughout the whole processing industry. For those visitors who were searching for industrial screening machines, were able to find a vibratory sieve the Russell Compact Sieve® at the Russell Finex’s Stand A131 in Hall A. At the stand our professional engineer not only showcased the industrial vibratory sieve but also presented live demonstrations explaining cost reductions and improvements in productivity. To find more of our range of separation and filtration equipment for the food processing industry or contact us today.